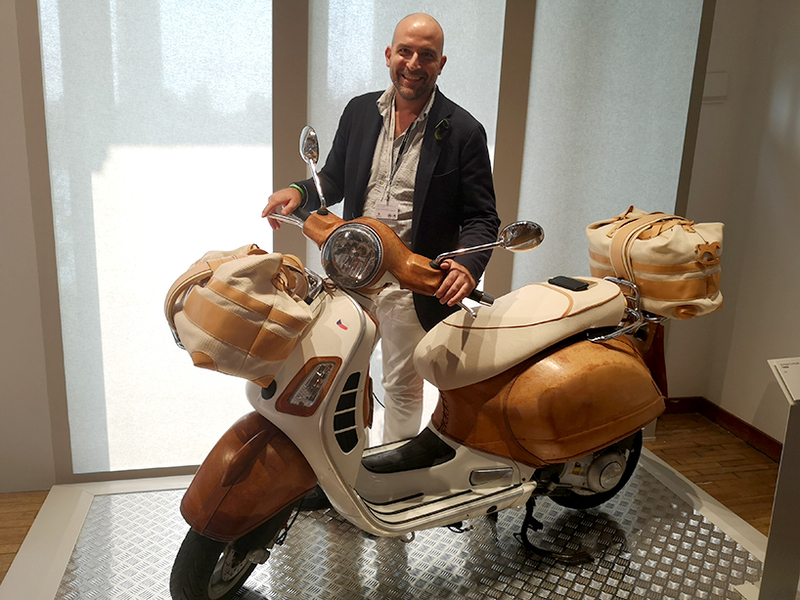 specialized in luxury accessories, bottega conticelli presents during the homo faber exhibition in venice a work inspired by horses — a custom vespa wrapped in a precious leather skin — or like his creator likes to call it, a motor horse. 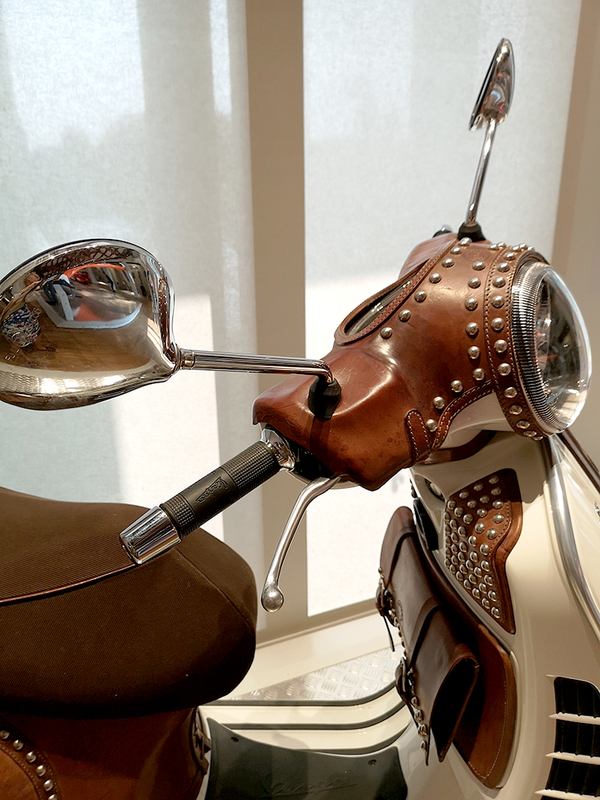 created by italian designer stefano conticelli, the motorcycle matches the iconic italian postwar design with meticulous handmade production methods complete with incredible attention to detail. 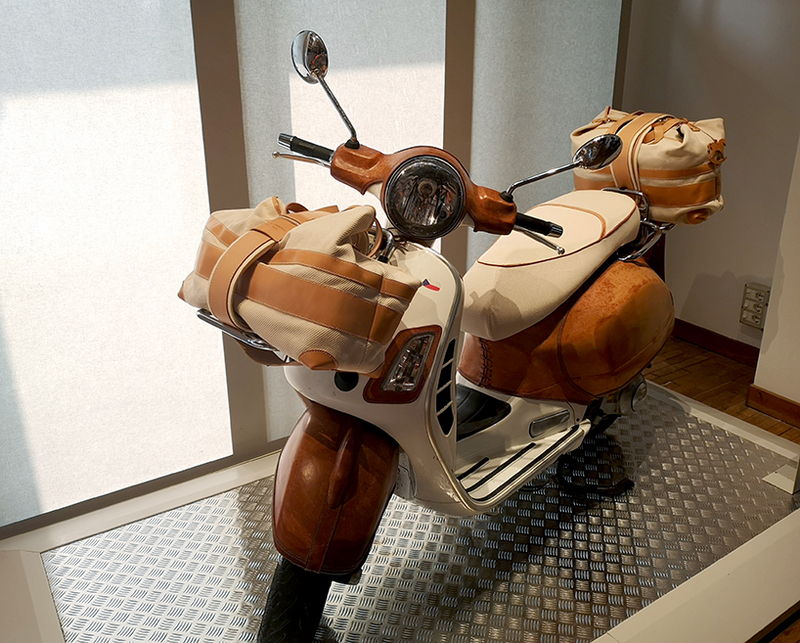 bottega conticelli celebrates the vespa — an icon of modernity — by transforming it into a luxurious timeless piece. 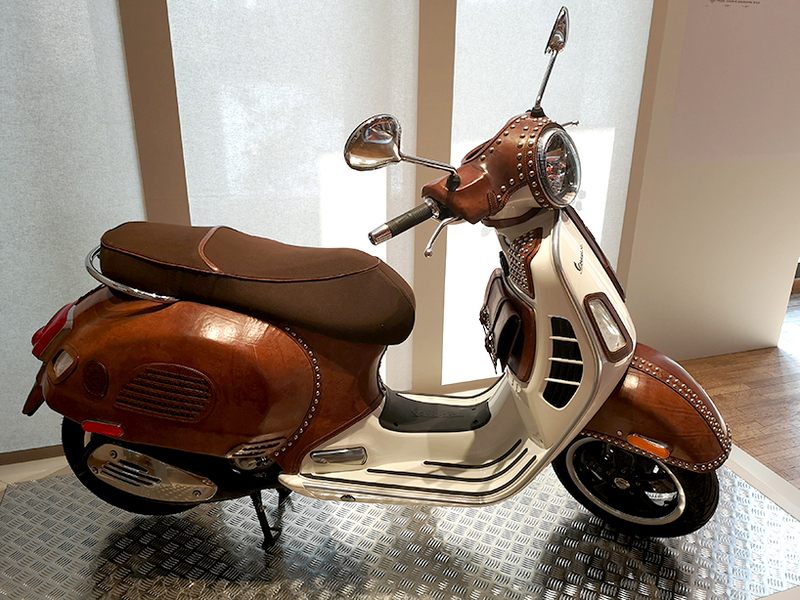 shaped by the designer’s own hands, the custom vespa’s new leather skin is water-resistant, and it promises to its own patina over time. 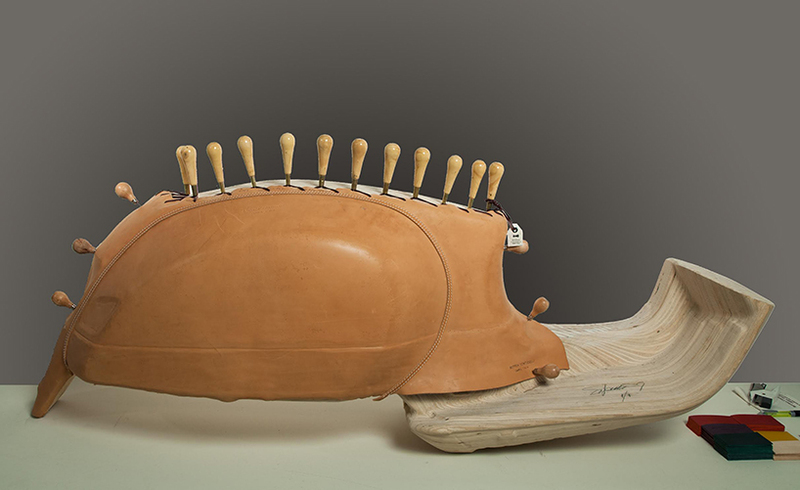 as for preservation, the leather is finished with beeswax, creates an organic yet practical layer. 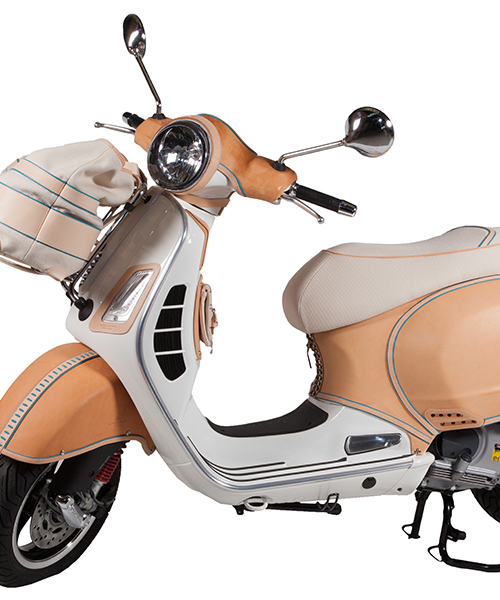 here time-honored craftsmanship is paired with pioneering research and careful manufacturing.